Join us for the Last Weekend of the Eagle Festival! 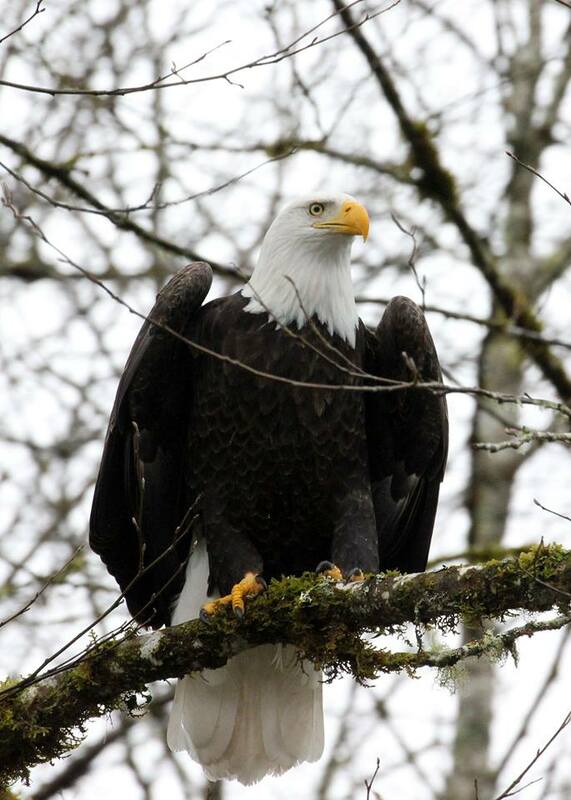 This weekend marks the last weekend of the Skagit River Eagle Festival. Be sure to come up and visit us! Below is a list of all the fun happenings. See you out there! Saturday, January 24, 12 p.m. – 5 p.m.
Raptor Presentation by Sarvey Wildlife Care Center at 2:00 p.m.
picnic area, and wonderful walking trails. Snacks & soft drinks, and $5 wine tasting. Free admission and free camping Saturday only. the Rule of Thirds, use of leading lines, framing, reflections and much more. Free. Saturday, January 24, 11 a.m. – 11:45 a.m.
Saturday, January 24, 1:00 p.m. – 2:30 p.m.
with instructor Karen Ulvestad www.karenulvestad.com. Saturday, January 24, 2 p.m. – 4 p.m.
Come in out of the cold and enjoy a festive jazz ensemble put on by our local talent. Hint: it will sound even better with one of 5b’s amazing cinnamon rolls! Saturday, January 24, 3 p.m.
An educational hayride through 250 acres of timber, pasture, and Conservation Reserve Enhancement Program (CREP) project. See eagles, deer, elk, and more. Learn about our conservation projects, selective timber harvesting, and see how wildlife habitat is enhanced by our ranching practices. Enjoy coffee, hot chocolate, and cookies by the fire. Children’s wildlife footprints matching game and ranch history display. Activity is weather dependent. Learn about eagles, watershed issues, and local, natural and cultural history through guided hikes, presentations, and the Nature Store. Saturday: Naturalist Hike at 11:00 a.m. led by Erica Keene, Forestry Technician, Mt. Baker Ranger District. “Glaciers of the North Cascades” presentation at 1:00 p.m. by Jon Riedel, Geologist, North Cascades National Park. Sunday: Naturalist Hike at 11:00 a.m. led by Erica Keene, Forestry Technician, Mt. Baker Ranger District. “Explorations of the Skagit Watershed” presentation at 1:00 p.m. by Pat Buller, Photographer, Blogger, Artist. 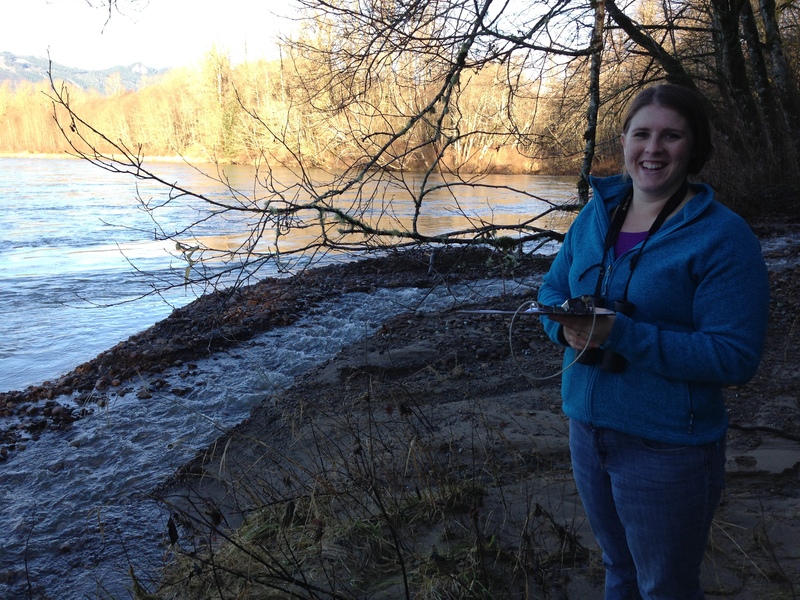 Eagle Watcher volunteers can answer your questions about bald eagles, salmon, and the Skagit watershed. They’ll have binoculars and spotting scopes available for your use. Viewing stations are at Howard Miller Steelhead Park in Rockport, Sutter Creek at Milepost 100, and Marblemount Fish Hatchery. Learn how eagles relate to the life cycle of the Pacific Salmon. Visitors gain knowledge of all phases of the salmon life cycle without disturbing salmon in the wild. In addition to fish, visitors can view eagles, hawks, blue herons, ducks, and dippers. The view from Martin Road. Eagle numbers are beginning to dwindle this week. Thick fog was an obstacle on this week’s count and likely affected numbers. This is the last eagle count of the year, but not the last weekend to come and see them! Be sure to come visit us at one of our three locations: Howard Miller Steelhead Park, Milepost 100 or Marblemount Fish Hatchery. Our booth is open from 10:00-3:00 Saturdays and Sundays through January 31st. See you out there! 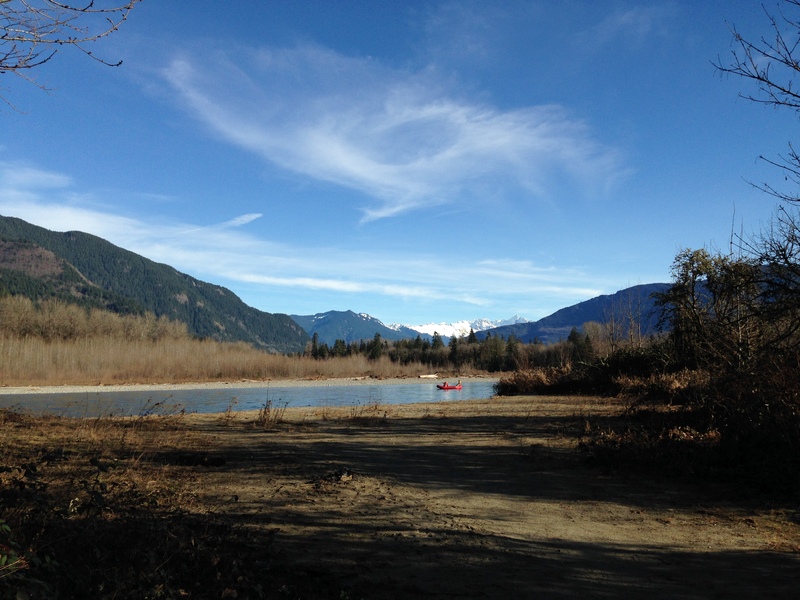 US Forest Service River Ranger Erica Keene found 42 eagles at this single spot along the South Skagit Highway. 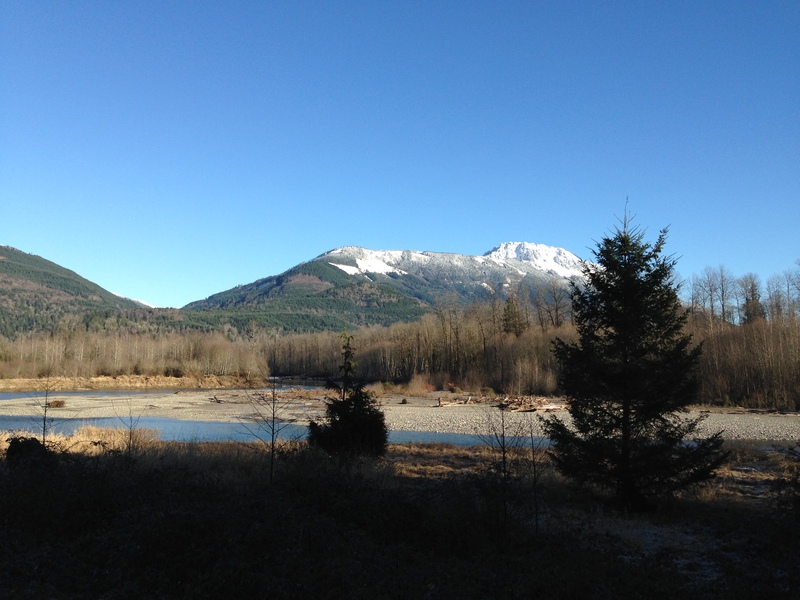 Snow covered Sauk Mountain above the Skagit River between Concrete and Rockport.